Caroline doesn't require any introduction. Her reputation precedes her. We are proud to offer the following works from one of our latest artists. 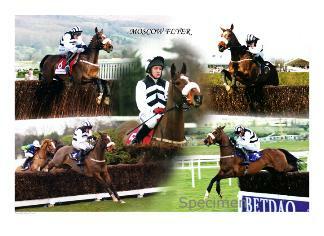 Roy Miller's commissions are ubiquitous and highly acclaimed within the racing community both at home and abroad. H.M. The Queen possesses a picture of Highclere painted by Roy. The Royal Hong Kong Jockey Club commissioned several paintings of their star horses when opening the new racecourse at Sha Tin. 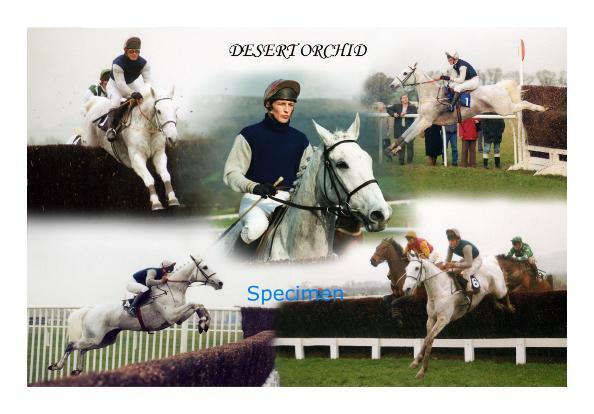 He has completed several pieces of work for United Racecourses including a portrait of the Queen Mother for the opening of the new stand at Kempton Park Racecourse and a Derby Day scene for the opening of the Queen's stand at Epsom. 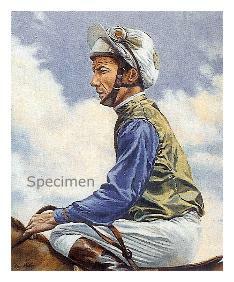 The artwork for the commemorative Lester Piggott Gates at Epsom were produced by Roy. 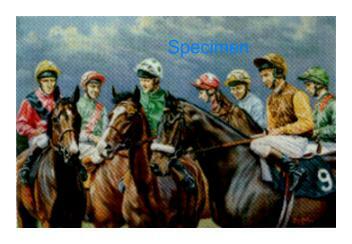 The Injured Jockeys Fund regularly uses Roy's paintings for their Christmas card subjects. Need we say more about Roy's prolific talent and the demand for his services? The first horse since Mill Reef to win The Derby, The King George and the Arc in the same season. 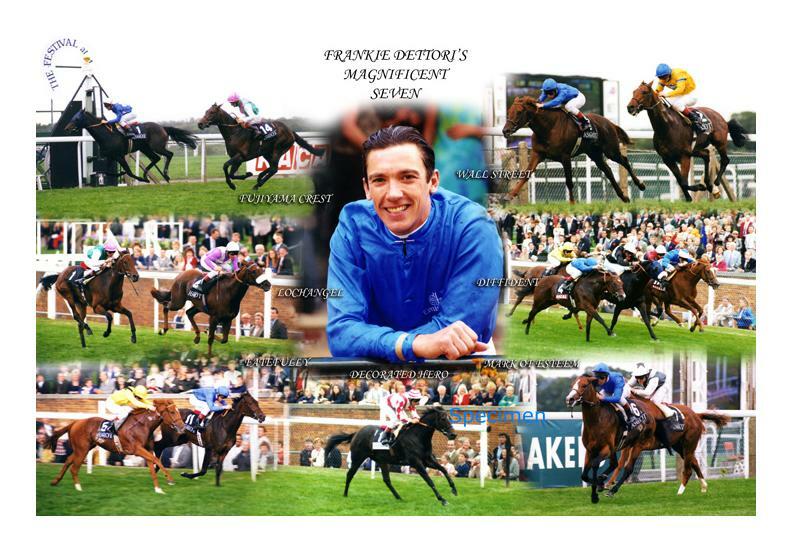 Frankie Dettori and Walter Swinburn are featured. We are all aware of Montjeu's credentials. This picture depicts Montjeu after achieving success in the Prix de l'Arc de Triomphe in 1999. 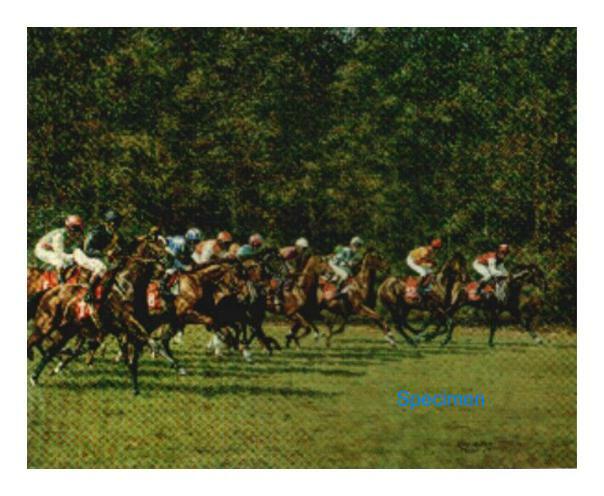 Once you have observed these finely tuned thoroughbreds flying out of the starting stalls at Ascot, take a closer look into the background trees and the faces of 4 champion jockeys will appear!! Pure genius. in the birth of a foal and the circle begins again. Too early for 'the off' the field quietly stroll to the starting stalls. Light exercise continues despite snow falls. 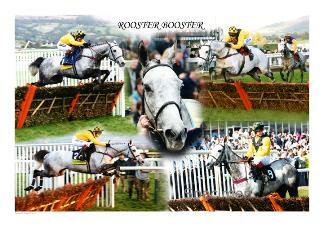 The indomitable Sea Pigeon twice winner of the Champion Hurdle at Cheltenham and the Ebor at York. 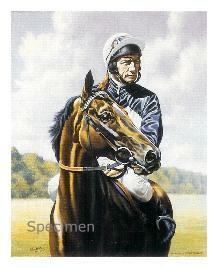 The Maestro himself featured with Ardross who was successful in winning 2 Gold Cups at Royal Ascot. 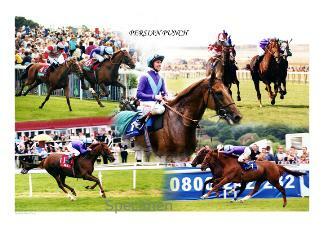 Epsom Oaks. 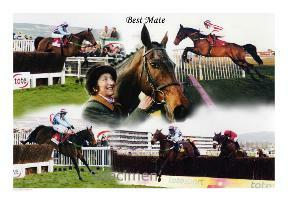 She also triumphed in the 1000 Guineas and Irish Derby. A filly of true quality. A deer remains alert and keeps watch as the morning string passes by. Lammtarra and Frankie Dettori triumph in the Arc to complete a special season. 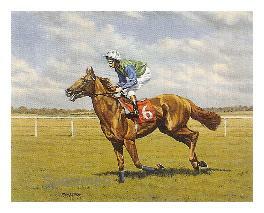 "The best selling racing print of all time"